We are all now used to the sight of London’s Olympic stadium, blazing brightly in an otherwise subdued East London skyline, the diamond in the rough, with its triangular light stations looking like the pointed pinnacles of a medieval crown. When you see it on television, the stadium is both a giant-sized modern multi-coloured spectacle, but equally a giver of intimate human stories – the athletes crying, their families hugging, supporters bedecked in countless variations of red, white and blue. Through the aid of high-zoomed television cameras, you get to catch every detail of the various spectators, the royals who are sitting on the show and giving out medals, and the super-strong athletes pulling superhero poses at the start line to the track events. When you’re there in the stadium itself as one such spectator in a sea of thousands, it’s a whole different story. Everything is magnified, augmented, accelerated. The stadium loses all sense of the human story. It becomes superhuman, a thing of such magnificence, on such a brilliantly huge, exaggerated scale that you literally cannot believe you eyes. What is before you is not only a photogenic stadium worthy of star-studded superlatives and photographs in their thousands; it is history in the making, it is London’s definitive moment in the spotlight. It’s a magnificent mastery of social unity on an epic scale, as people come together in their tens of thousands to cheer, to wave flags, to take photos, to share in the glory. And so it was that the human became superhuman, where in a stadium so big, small people in a crowd of thousands became mere pixels in an ocean of humanity: when a mexican wave took hold amongst the crowd, it literally looked like a ripple pulsating around the stadium; when the crowd took photos, it was like the spectator area had become a diamond encrusted snake, sparkling to the movement of its slithing great body as the flash bulbs went off in their thousands around the racing track; and when a Brit was on course to win a medal, the joint roar of 80,000 spectators made a noise like nothing I have ever heard before – it was a noise enough to conquer nature – thunder itself could not have outdone it. 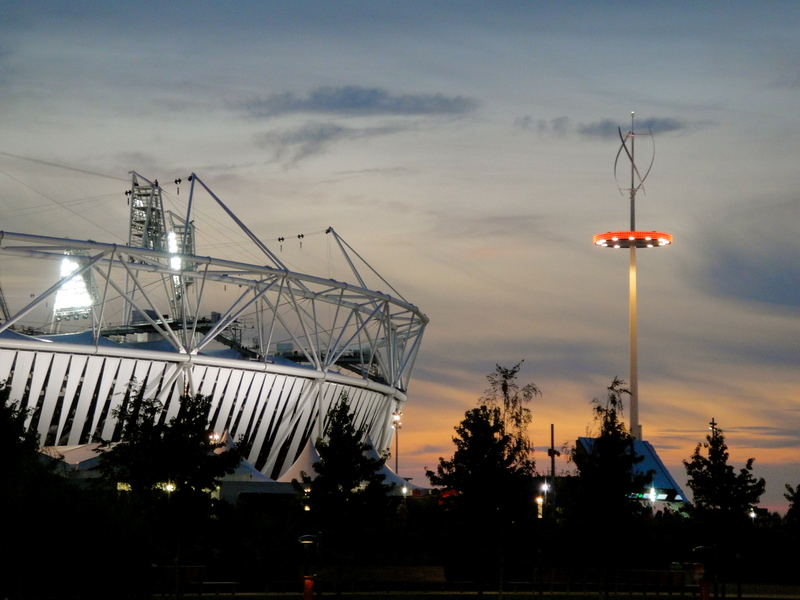 Yes, as the above probably makes clear, I have experienced the London 2012 Olympic park at last, as well as the Athletes stadium itself, doing so as part of the incredible Paralympics festival which is currently underway in London. 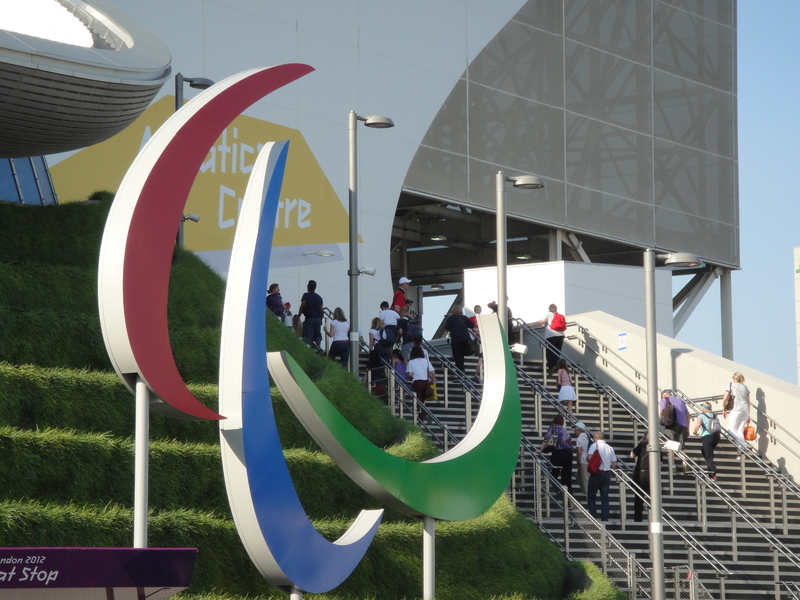 Having not obtained tickets for the park itself during the Olympics, I was on the ball when the Paralympics tickets were released a few months later. This time I was lucky, receiving tickets for the Swimming, the Athletics, and, this coming Sunday, the Closing Ceremony. And needless to say, I am incredibly glad that I got to sample not just the Olympic park, but the wonder of the Paralympics as well – The Athletes involved are nothing short of incredible. Talking of superhuman, these guys take the word to a new level all on their own, overcoming debilitating injuries and conditions to excel in sports to levels which, if not equal, are a fine match to the standards set by the incredibly fit able bodied athletes of the Olympics two weeks before. Last night I was lucky enough to see the UK’s David Weir win the T54 1500m race in super-strength style, pivoted to the finishing line by the sheer strength of his arms alone. And the night before, I was equally fortunate to see Brit favourite Ellie Simmonds win her second gold medal of the games and win in world record time for the second occasion too. Her victory was immense. 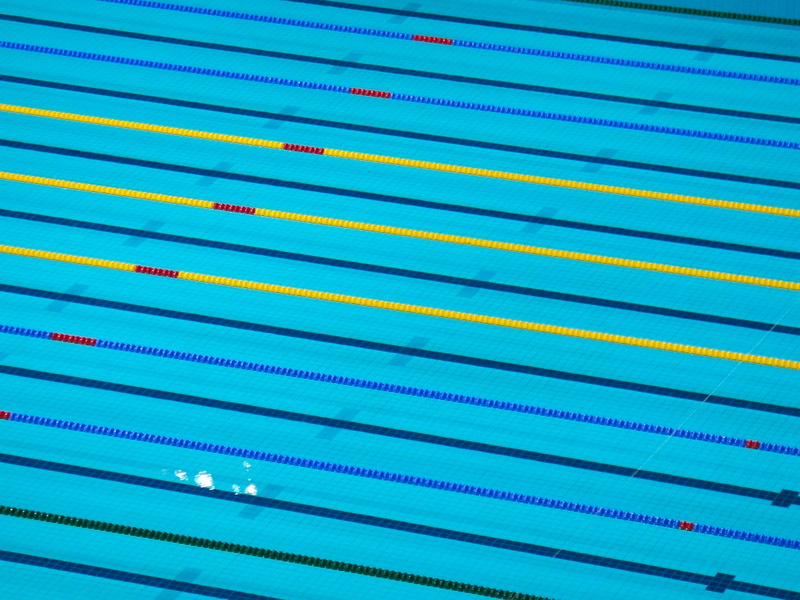 She was in around 5th place when she turned to swim her final lap of the pool but then, again with superhuman almost mechanical genius, she managed to propel herself, not only ahead of her competitors, but leaving a huge margin trailing between her and the silver medallist. And who else was there? None other than the current Prime Minister (David Cameron), a past Prime Minister (Gordon Brown) and a potential future Prime Minister too boot (Boris Johnson) all getting in on the action (I think that’s known as jumping on the band wagon). 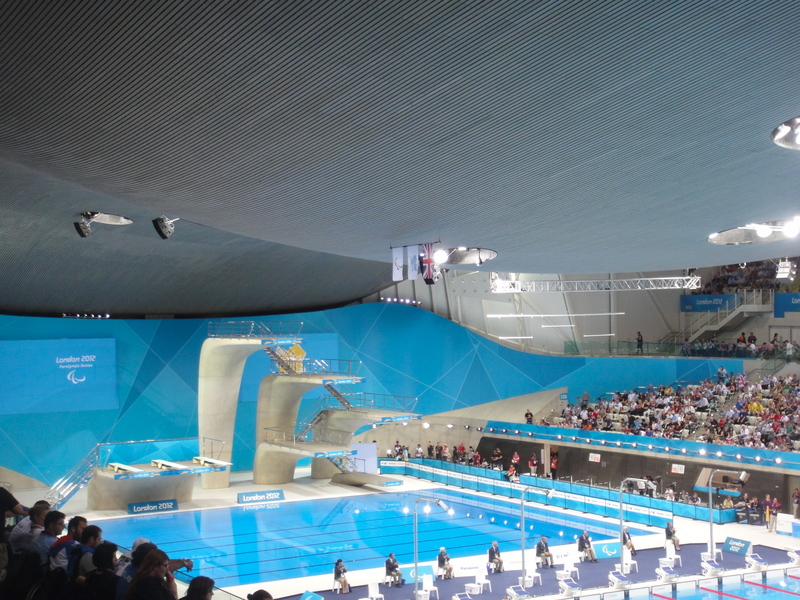 As for the Aquatics centre itself, designed by Zaha Hadid, what a feat of architectural genius, with its organic curvaceous wooden roof perfectly mirroring the muscular contours of a huge killer whale, and appearing to float, defying gravity, in mid air above a marine blue pool and some equally innovative diving boards. Well, after an Olympian effort to effectively describe the feeling and emotions of experiencing what is nothing short of a sensational Paralympics experience, I think it’s about time to show you some of my photos of the event – you’re not getting any athlete close-ups I’m afraid – these venues are huge and my seats were, as my budgetary constraints would predict, fairly high up in the gods, but for architectural appreciation, my photos are surely on form. 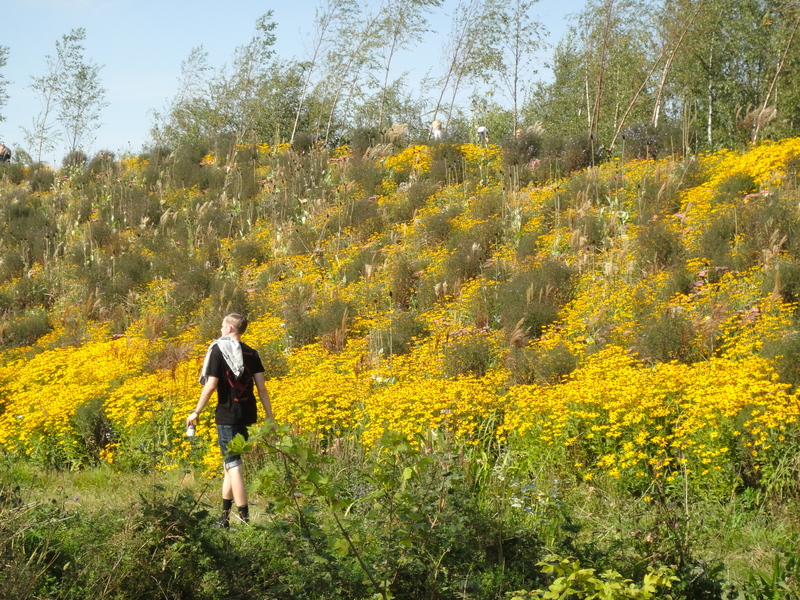 Check out in addition Anish Kapoor’s wacky red Arcelormittal Orbit tower, now an insuperable icon of the Olympic park skyline, and, at the opposite end of the scale, the delicate beauty of the park’s many wildflowers and tranquil riverside walks. Amazing to think that only a few years ago, this was one great industrial wasteland. 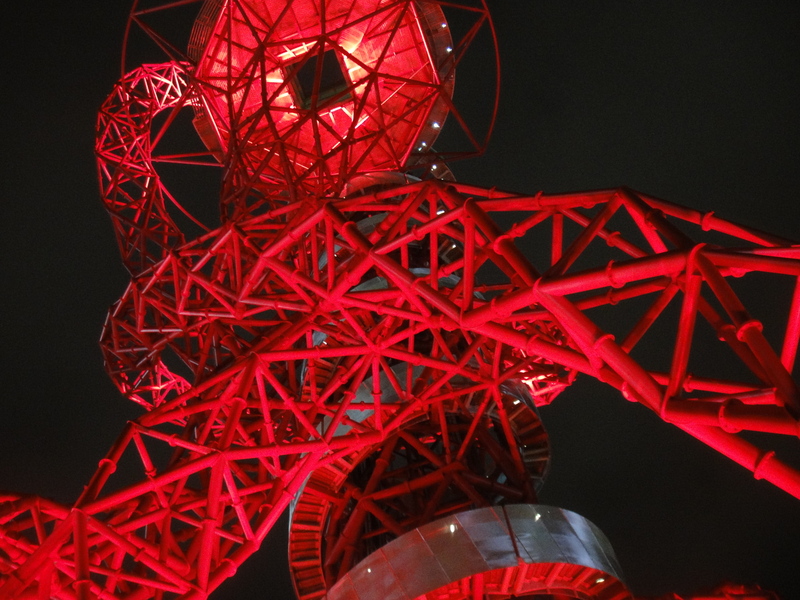 Oh and let us not forget that incredibly Olympic flame designed by Thomas Heatherwich. The UK truly is at an all time creative and sporting high. Long may it continue. © Nicholas de Lacy-Brown and The Daily Norm, 2001-2012. Unauthorized use and/or duplication of the material, whether written work, photography or artwork, included within The Daily Norm without express and written permission from The Daily Norm’s author and/or owner is strictly prohibited. Excerpts and links may be used, provided that full and clear credit is given to Nicholas de Lacy-Brown and The Daily Norm with appropriate and specific direction to the original content. Wonderful pictures! I really like the wildflowers and the diving boards! !